Alert Systems in use at Royal Perth Hospital (RPH) for Patient Aggression, How they Affect Identified High Risk Staff Groups and Alert Systems in Similar Hospitals. RPH has a significant organisational and occupational safety and health risk relating to patient initiated aggression. It is recognised that there are significant gaps in communicating the risk of patient initiated aggression to identified staff groups in particular those with limited or no opportunity to access patient documentation, patient electronic patient information systems or verbal handover. 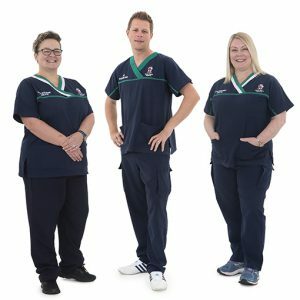 The RPH Education Centre’s Aggression Prevention and Intervention Training Team and Research portfolios undertook a study into systems that alert staff to the risk of patient aggression This study was supported by grants from the ‘Foundation for Nursing Research’ and ‘Nursing Fellowship’. A project was designed with the primary objectives to identify systems currently in place, assess how these systems effect these identified high risk staff groups, a review of current literature around alert systems and to explore alert systems used in similar hospitals. The study demonstrated an unambiguous evidence base supporting aggression risk alert systems and the governance required to support these. Recommendations were made to increase the opportunities to communicate/alert staff to the risk of patient aggression through clinical documentation, referral systems, electronic patient information systems and the use of visual risk alerts. The key priority is to develop the governance around the use of alert systems prior to their introduction to ensure the aggression risk alert process is fair and lawful, objective, based on a specific incident/s and risk assessment and that there is clearly defined criteria, authorisation and review process. The governance process will also need to explore the issues around open disclosure and informing and when not to inform patients they have an alert specific to aggression. The recommendations from the study have the potential to alert every RPH staff group of potential risk, facilitating their ability to put risk reduction measures into place, potentially preventing or reducing the consequence of patient initiated aggression.